With more than 100+ meetings, exploring innovation, healthcare use cases and technologies defines a whole new equation of healthcare. It’s been over 3 weeks post HIMSS18 in Las Vegas; I am almost done with all my follow-ups and before getting caught up with ATA18 preparation, allow me to share my experience! 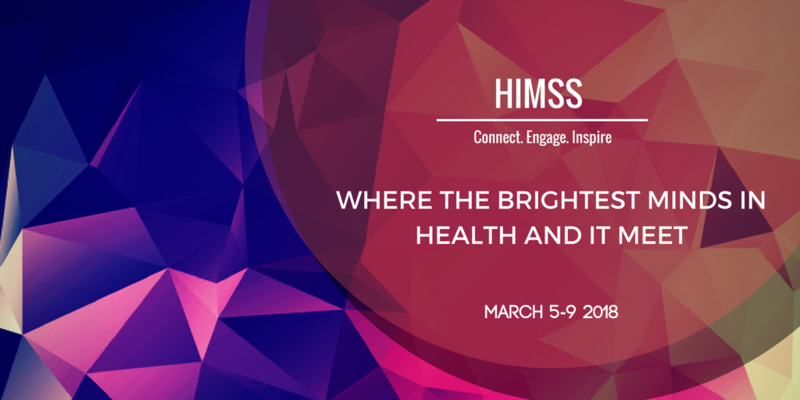 Known as the Mecca of Healthcare, HIMSS is a platform to explore innovation, meet thought leaders, network and partner. That said it is easy to get lost, loose orientation and miss out on meetings, when you are dealing with 40k+ attendees and 1000+ exhibitors. It is overwhelming the moment you enter Sand Expo and see HIMSS banners all over the place. The Pinksocks meet-up that took place on the March 5th at Money Play Restro was filled with the most exuberant people. Nick Adkins has taken an initiative to consolidate all Healthcare professionals, who are determined to disrupt the industry with innovation. 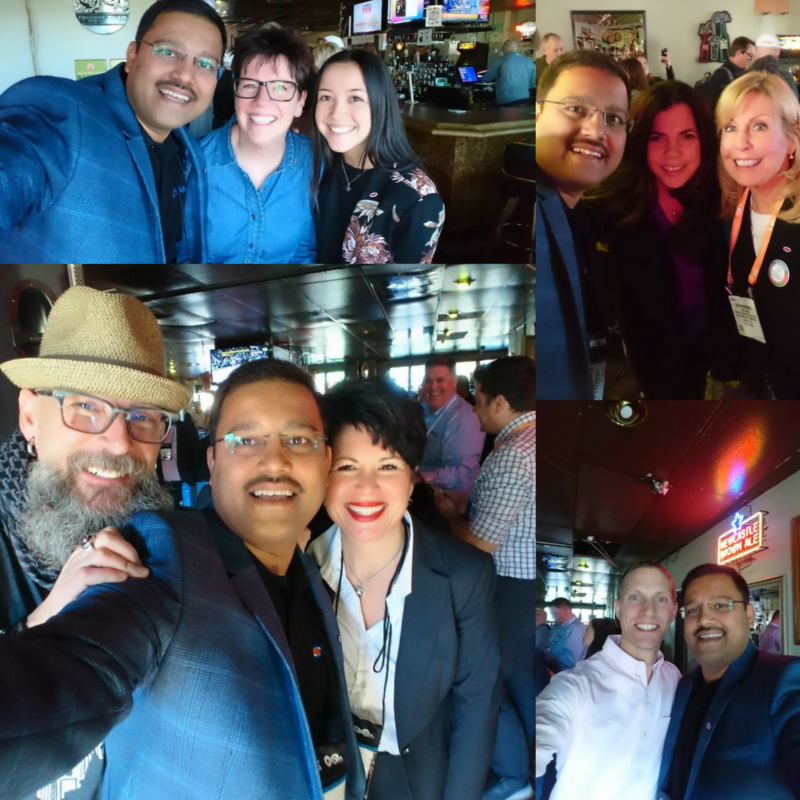 The HIMSS Social Media Ambassadors are part of this group and real meaningful exchange of information happened at the meet-up. Healthcare companies have finally realized the potential of Artificial Intelligence, Machine Learning in addition to Big Data. 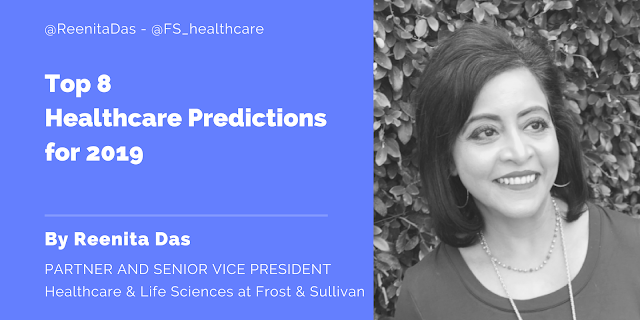 The ability to perform complex predictions in a blink of a second will result in advanced decision support, chat bots resulting in real time efficient care delivery system. From Ayasdi to Google Deep Minds, everyone is set to disrupt the traditional healthcare with super-efficient ecosystem. It is another technology having tremendous potential to transform health care, shifting the patient at the core of ecosystem, coupled by enhanced data security, privacy, and interoperability.Blockchain will provide a new benchmark for interoperability by enhancing secure and efficient health data exchange. While it is not going to address all the healthcare challenges, it does provide a sense of confidence to explore, invest and test its actual potentials in Healthcare. PokitDok, Health Wizz and Hyperledger are amongst few to watch. It is estimated that by end of 2018, 65% of healthcare interaction between patient and providers will occur using smart phone devices. 80% of doctors are already using one or other medical app to engage with patients. Cloud is further transforming the way providers deliver quality and cost effective healthcare services. Adoption on cloud strategy significantly reduces infrastructure and administrative cost, thus providing relief from the ever growing pressure of cost reduction. On one hand patient are demanding instant quality healthcare services and on the other hand government is pushing on use of common standards further monitoring the quality stringently. This complicates the matter further with existing infrastructure and legacy systems. Providers are gearing up to address the increased demand and support 24/7, access to top-quality healthcare, and adopting cloud strategy. Cloud and mobile access is technological reason for the actual consumerism. Wearable and IoT has taken the healthcare out of hospitals, and into our homes. Healthcare at home is a win-win for all patients, providers and insurance. Remote monitoring coupled with video collaboration platforms have innovated the space with low cost high quality patient care. Innovative startups like Care Innovation backed by large giants like Intel, Google are making lot of noise in this space. Transformation of digital landscape, has led to serious disruption, patients of 21st century are experiencing empowerment. As we unlock the barriers of EHR for better access and quality, consumer satisfaction increases. Patients can now have similar experiences to retail and shop for best value products based upon their needs. For example, someone with chronic illness, injuries, wrong procedure, and misguided surgeries can get expert advice from companies like Best Doctors, Second Opinion Experts, Amino for as low as $300. Ability for patients to make best choices in terms of treatment, procedures with right information, is going to be a blessing. And imagine how much cost health insurance companies are going to save! While Telehealth has been around for decades, yet the real potential has been unlocked just few years back. Federal backup, technological advancement and infrastructure maturity has helped it gain the momentum. Today’s telehealth products are a combination of video and specific use case catering to diverse areas, from Behavioral health to Physiotherapy and so on. While big players like AmericanWell, Teladoc and other continue to dominate the space. Small players like Cloudbreak, Zipnosis, and Avera with specific requirements are making lot of noise. Telehealth has demonstrated over and over the improved outcomes with minimal cost. The new age products are equipped with advanced analytics, addressed reimbursement and legislative concerns. The use of advanced technologies like AI and ML on top of telehealth component will be soon gaining momentum to further enhance patient experience and optimize healthcare cost. It was my 3rd consecutive time to attend HIMSS and every time one has so much to learn. You can digest as per your appetite; I am a Healthcare Professional turned into technologist, and was really amazed to see innovation all around me. All this experience gathered is shared with the clients for whom we build products, it gives them an insight on where the industry is heading. Faichi Solutions is technology service provider, under the umbrella of Saksoft Inc, New Jersey. We are 1000+ employees, across 3 continents, with Healthcare service as a focused vertical. Highly skilled and motivated professional with rich experience of 13+ years in software product development for Healthcare and Life Sciences vertical, proven track record of building innovative solutions, providing strategic consulting, pre-sales and operational management.